NextNapoleon and Josephine, Love Letters and Angst! By special guest writer by Sean Munger . Over the course of Byzantine history, which lasted more than 1100 years, the office of emperor was occupied by some very interesting people. Some of the men and women who ruled the Byzantine Empire were wise, courageous, strong, able and intelligent. Others were cruel, petty, depraved and incompetent. Some had the crown passed peacefully to them by their fathers or other relatives; some seized it by force. Some didn’t even want to be emperor but felt they had no choice. I often wondered what would happen if you could travel in time and gather all 88 Byzantine Emperors together in a single room what they might say to each other, and to us. It’s a pretty interesting thing to think about. Here are my five favorite Byzantine emperors, in roughly my order of preference. 1. Leo III (reigned 717-741). Leo may strike some as an odd choice for my favorite Byzantine boss. Honestly I wouldn’t have considered him as a real standout until I began studying him closely, while I was in the process of writing my book Zombies of Byzantium, in which Leo is a major character. Born (we believe) Leo Konon in Isauria, he did not have royal blood, and in fact may have been part Arab. What we do know is that he was very smart, cunning and, pardon the expression, had brass balls. He leapfrogged to the top of the Byzantine army in the tumultuous time of Justinian II and committed some pretty famous double-crosses, culminating in the inventive strategy of kidnapping the son of Emperor Theodosius III and holding him for ransom. Perhaps not surprisingly, Theodosius decided that letting Leo be emperor wasn’t such a bad idea after all. As Emperor, Leo certainly gets credit for saving—and I mean literally saving—the entire Byzantine Empire. When the Saracens besieged Constantinople in 717, right when Leo came to the throne, that they would wipe the empire off the map seemed almost a foregone conclusion. It was Leo’s savvy and audacity that enabled Byzantium to survive. The Saracens girded for a long siege, even planting crops outside the walls of Constantinople to feed their armies. With a streak of cunning that must have been astonishing to witness, somehow Leo convinced the Saracens to destroy their own food supplies during the siege. I mean, how crafty do you have to be do pull that off? Of course he double-crossed the Saracens, who thought he was going to surrender Constantinople to them forthwith. No such luck. With no food the Saracens were reduced to eating their own poop. Really. It’s true. They ate their own crap while they froze to death outside the walls of the city. I bet they could almost hear Leo laughing at them. Leo is mostly known for pushing Iconoclasm, which most people regard as a big mistake, but you know what? I really don’t care about that. His successful resistance of the Saracens’ siege kept the Empire alive for another seven centuries. We know very little about Leo’s personality but just judging from his deeds as Emperor it’s obvious he was a very remarkable man. I’d go have a beer with him any time. He’d probably trick me into paying the tab and I wouldn’t even realize it until it was too late. 2. 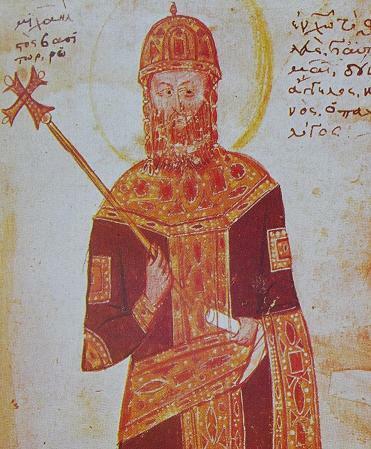 Constantine XI (reigned 1448-1453). 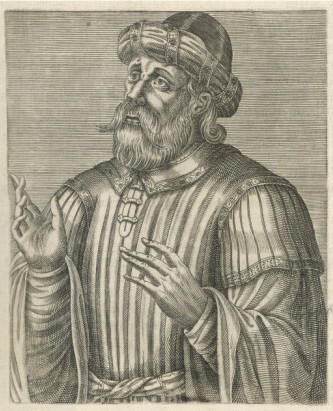 Constantine XI Palaeologus, the very last Byzantine emperor, is a hard figure not to like. You have to pity this guy. He knew he was screwed for years even before he came to the throne, watching what was left of the empire melt away in the reign of his brother, John VIII. His personal life was tragic—the love of his life, Maddalena Tocco, died not long into their marriage, and like Justinian he seems to have never gotten over it—but he soldiered on and did his duty, and his duty was very clear and singular: keep Constantinople from falling to the Turks as long as possible. He tried everything he could think of, appealed to every Western ruler, used every diplomatic dirty trick in the book and nothing worked. When he stood on the walls of Constantinople and watched Mehmet’s army setting up camp around the city in April 1453, you can imagine what was going through his mind. If any Byzantine emperor deserves to be called a hero, it’s the last Constantine. He simply refused to give up even after the Turks were swarming into the city on the morning of May 29. His rousing final speech to the defenders of Constantinople, exhorting them to fight to the death, is every bit the equal of Queen Elizabeth’s famous speech to her troops at Tilbury in 1588. Constantine was last seen drawing his sword and running headlong into a huge throng of Janissaries, at which point his life expectancy was about 0.2 seconds. This has to qualify as the single most epic death of an emperor in all of Byzantine history. 3. 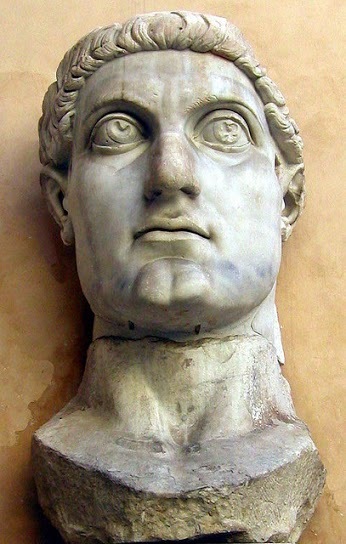 Constantine I (reigned 306-337). On the flip side of the spectrum, I also admire the first Constantine. As a figure of religious history I think he’s very overrated—let’s face it, nobody really believes that “with this symbol you shall conquer” story—but Constantine the Great was one of the most successful career men in history. Seriously, they should study him in business management classes. Staring small, as a junior emperor ruling a faraway quarter of the Roman Empire, he managed to work his way up through the ranks, offing rival after rival until he did what Diocletian insisted couldn’t be done: he pulled together the entire chaotic, disunified Roman Empire under a single manager (himself), and even managed to keep it humming along for a few more decades. I admit I’m really not a fan of the Niceaean Period. Whenever I come to it in a class or on CryForByzantium I try to power through it as fast as possible. Michael VIII comes as a good finale to it, though. He’s an interesting figure, and I think he’d be almost comic if he hadn’t had so many people killed in horrible ways. His reconquest of Constantinople in 1261, after being ruled by clueless foreigners since the Fourth Crusade, was almost accidental. Michael didn’t quite win the big game, but more like pranced onto the field after the other team forfeited. Still, he was happy to take the credit. Wouldn’t you? That reconquest was Michael’s main legacy. I think he knew it. Taking back Byzantium from the Latins and establishing a new ruling dynasty was his box to check in history. Once he did this he wasn’t that hot an emperor (though you have to give him credit for the Sicilian Vespers thing). And he got a bum rap with the doomed union of the churches, but at least he tried. It’s a shame we don’t know where Michael was buried. He was so hated at the time of his death that his grave was hidden for fear that people angry at the church union would dig him up and desecrate his corpse. I think he deserves a bit more respect than that. 5. John VI Cantacuzenus (reigned 1347-1354). Here’s another guy whose absolutely hapless circumstances make you feel sorry for him. 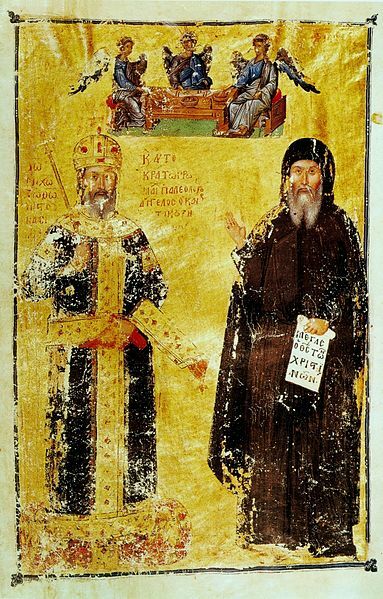 John didn’t even want to be emperor, and was much more of a scholar-cleric type, but the worst civil war the Byzantine Empire ever knew sort of forced his hand. Then, as soon as he wins that catastrophic war, what happens? The Black Death rips through the Empire like crap through a goose. Plus, the empire was completely broke. Read the accounts of John VI’s chintzy coronation. It’s pretty sad. Exhausted by war, internal strife, external threats, economic crisis and disease, and stuck in a job he didn’t want anyway, John VI did the best he could under the circumstances. He once again managed to hold the empire together, though even he probably didn’t think it would last that long; he probably would have been surprised to know it managed to limp along for another century. 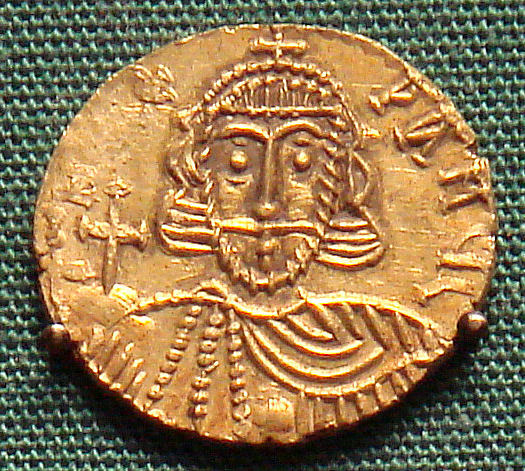 John VI is one of the few Byzantine chiefs to step down voluntarily. The sigh of relief he heaved at leaving the palace and going off to a monastery was probably loud enough to wake the dead. Still, he deserves a lot of credit. He’s one of the most interesting and colorful Byzantine rulers. Thanks to Robert Horvat for having me as a guest on his fine blog!